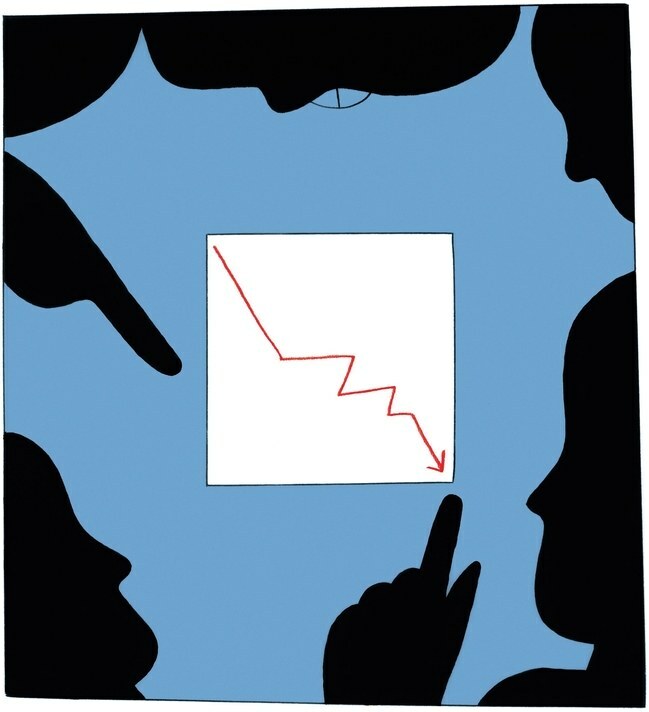 Nicola Twilley in the New Yorker has a fabulous story on The Neuroscience of Pain that explains in fascinating detail how little we actually know about how our bodies interpret and experience pain. She undergoes an experiment with a cream containing capsaicin, the same stuff in hot pepper, that is applied to her arm and, at one point, burns furiously (or so her nerve endings are telling her). At the same time, her head was inside a powerful MRI machine called the 7-Tesla MRI, of which there are fewer than a hundred in the world. The magnetic field it generates (teslas are a unit of magnetic strength) is more than four times as powerful as that of the average hospital MRI machine. The MRI machine allows scientists to see where pain is processed in the brain in greater detail than ever before, providing them with a better understanding of how and why we feel pain, and perhaps how we might better control it in the future. This short film from the National Geographic Short Film Showcase is one of the most visually stunning things I’ve seen in a long time. It shows the Mauritania Railway, a 430 miles long pair of tracks that have been transporting iron ore across the brutal, yet beautiful landscape of the Sahara Desert since 1963. There is very little dialogue or exposition, mostly just a few text cards that explain how this railway came to be built and it is really the backbone of the country’s economy. The imagery is stunning. You have likely never seen anything like it before. Straight Man by Richard Russo: I’ve been reading a lot of books lately. Far more than I normally do. I love to read, mostly non-fiction, but usually average about a book or two a month, on top of the many magazines, newspapers and blogs I read every day. Anyway, I’ve been trying to get through previous Pulitzer winners, and other books that have been recommended over the years by friends. I was looking for another light, funny, summer read (having also recently read The Brief Wondrous Life of Oscar Wao, a Pulitzer winner). A friend pointed me to Straight Man by Richard Russo. I loved it. It does not move at a quick pace, plot-wise, and it feels at times like yet another “mid-life crisis suburban male” story in the vein of John Updike, or John Irving, which it is. But it’s also riotously funny with snappy, smart dialogue, mostly all of which comes out of the mouth of the protagonist, William Henry Devereaux, Jr., a once, semi-famous author, who now finds himself at a mediocre college in Pennsylvania where he has become jaded about life, career and family, but deals with hs transition into middle age with a fierce, biting humor that had me giggling many times over. 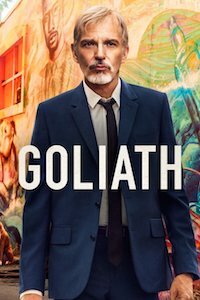 Goliath: Season 2: I had very low expectations for the first season of Goliath on Amazon Prime, and really just watched the first episode out of a lack for anything else to watch one night. But immediately, I was hooked and blazed through the entire season in three evenings of indulgent binge-watching. And so when the second season came out, I was excited to watch. Billy Bob Thornton’s performance as the alcoholic, demon-plagued - yet brilliant - attorney Billy McBride, deserved the Golden Globe. While not as good as the first season, the second season offers up some great plot twists and moments of riveting lawyering as McBride once again fights to find redemption. My only complaint is the silly, if not stupid, subplot involving Mark Duplass as LA developer Tom Wyatt, who has a lame and absurd fetish that I won’t spoil. No one asked for this, but I am going to start a weekly post on my personal media consumption. Only the top five or so best bits. I'M CALLING IT MEDIA DIET. Los Angeles and water: How does a city like Los Angeles slake the thirst of 4 million people when it lies in a goddamned desert? Surprisingly well, it turns out. This superb video (and article) from the folks at Wired, takes you through the numerous ways that Los Angeles is confronting the ongoing drought and slaking the thirst of it’s 4 million inhabitants (of whom, I am one). Personally, I had no idea that there was so much going on, including replenishing aquifers, using street medians to collect water, desalination and wastewater recycling. It may seem to be a (ahem) dry subject, but it turns out it’s fascinating. At least, I thought so. 60 Minutes on artist JR: This is a wonderful profile of the street artist who calls himself JR. I have been aware of his work for some time, and, like Bansky and Shepard Fairey, his has become a globally recognized name. He recently built a 64-foot tall picture of a Mexican child right next to the US/Mexico wall, but he did it on Mexican soil, so there was nothing U.S. border patrol agents could do about it. The guy is a real character with a lot of talent, chutzpah and a unique vision. Really worth watching. The Next Plague Is Coming. Is America Ready? This extensively reported and downright terrifying story by Ed Yong at The Atlantic (the big brother magazine of Quartz) will make you think ... and perhaps cry. Yong visits Kinshasa, the Democratic Republic of the Congo’s capital city to examine how the outbreak of Ebola in 2014 emerged and ended up infecting 28,000 people and killing upwards of 11,000. Turns out Africa has had several outbreaks and, frighteningly, another may be just around the corner. But what’s really frightening is how unprepared we are as a nation should an epidemic reach out shores. A nice peg for the story is the 100 anniversary of the 1918 flu, a strain of H1N1, that swept the world and killed as many as 100 million people, nearly 5 percent of the world’s population. That was just 100 years ago, folks! There are people alive today who were around then. Robin, Dave Itzkoff: I remember as a kid in Newport Beach watching the Happy Days episode when Mork from Ork first appeared. I also remember subsequently being in bona-fide tears watching Robin Williams on Mork and Mindy. While his movies were definitely hit or miss (mostly miss), he nonetheless had a few like Good Will Hunting and Dead Poets Society that remain classics. Every few weeks, my kids ask to see Mrs. Doubtfire. Robin Williams was one of the brightest stars in the comedy entertainment firmament. If not THE brightest. His unbelievably fast mind, his comic genius, his obvious good-heartedness (from Comic Relief to his USO tours), all came together to make a man who, even though I never met him, I LOVED him. His death hit me harder than anyone I’ve never personally known. More than Steve Jobs (my family knows what a fanboy I was). The new biography about Robin Williams by one of my former colleagues at the Times, Dave Itzkoff, is a superbly-crafted, well-told, deeply informative and genuinely entertaining story of how Williams’ unfathomable talent and success were pretty much inevitable (although I laughed at how his father wanted him to take welding classes as a fallback.) 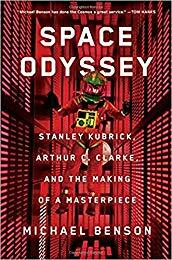 I finished it in a few days as an audio book. I thought I knew most everything about Williams’ life because I was such a devoted fan. But I was wrong. And I can’t wait to see the forthcoming HBO documentary about his life. Robin Williams: Come Inside My Mind.